Making British Culture explores an under-appreciated factor in the emergence of a recognisably British culture. 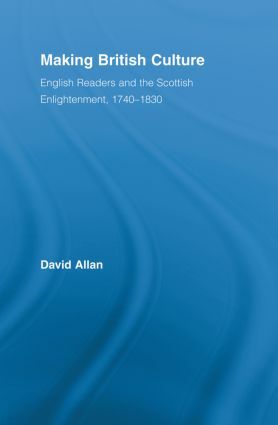 Specifically, it examines the experiences of English readers between around 1707 and 1830 as they grappled, in a variety of circumstances, with the great effusion of Scottish authorship – including the hard-edged intellectual achievements of David Hume, Adam Smith and William Robertson as well as the more accessible contributions of poets like Robert Burns and Walter Scott – that distinguished the age of the Enlightenment. Readers and Their Books: Why, Where, and How Did Reading Happen?